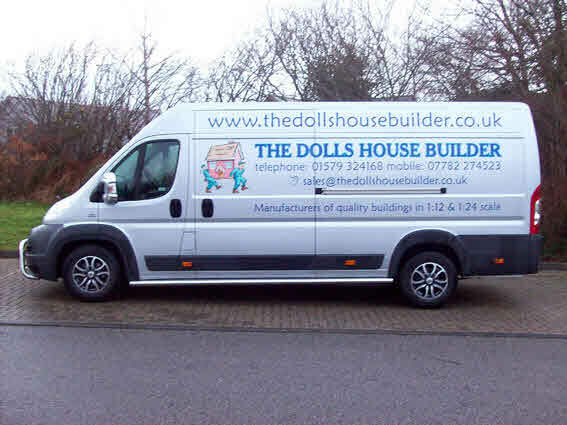 To reduce costs to you I try to deliver all my hand built houses personally and where practical combine deliveries. Occasionally this may not be practical so we do use third party carriers. Other items are delivered by cost effective courier dependent on weight / size. We deliver, and set up your house, usually where required, however, due to the size and weight of our larger houses, and to reduce risks to health and safety we WILL NOT carry these houses up any stairs. It is your responsibility to ensure that there is reasonable access into your property i.e. through doorways as some of these houses are in sections over five foot wide. Any Prices for delivery on this site are to mainland England and Wales only. Please contact us for delivery costs beyond these areas and for international delivery options.